Show your friends that you are willing to be the coolest person at the bash when you rock this Spock costume. 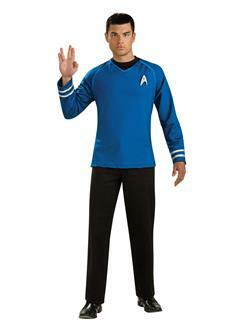 The infamous Star Trek character has never been more popular than it will be the second you show everyone this ensemble. Bring him back to life and win best dressed while doing so. It’s going to be great.